Do I need a Google API key to use ProMaps? Yes. While Google used to permit "keyless" usage in a variety of situations, starting on June 11th 2018, "you’ll need to enable billing with a credit card and have a valid API key for all projects." 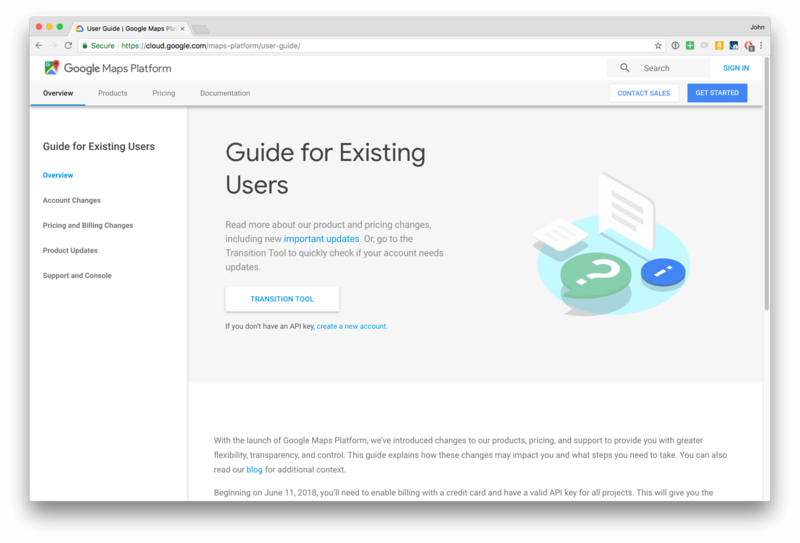 Fortunately, you'll likely never incur any actual charges on your Google Maps API key: along with requiring an API key, Google is also allowing $200 in free billing credits per month. This means most users will never incur any API charges. Here are the details of this $200 credit and how Google see it being applied: API piricing questions. Note that having an API key was always a requirement if you wanted to route more than 8 properties at a time in ProMaps: with an API key you can create routes with 23 waypoints. More here: routing limits. If you're running ProMaps build 1.053 or earlier, before adding your API key to ProMaps, you'll need to make one small change to the MapSettings table; Select the "Use global storage" option under the Storage tab of the MapSettings::GoogleAPIKey field. This will allow the GeoCoding scripts to use the API key when querying Google's servers. If you already have a maps API, add it to purchased version of ProMaps on the "General Settings" section of the Settings tab. API keys are supported in version 1.05 and higher. If you have an older version of ProMaps, upgrade pricing is 40% off: please for an upgrade code. Each time the regular map is loaded, including when filters are applied, the "Refresh Map" button is clicked, or the layout is refreshed, will be considered a "Map Load" from Google. These are priced at 0.007 USD per each for the first 100,000, so it would take 28,572 map loads to exceed the $200 monthly credit. Depending on whether you have more than 10 waypoints/properties selected or not, loading the route map will cost either 0.005 or 0.01 USD per each for the first 100,000 loads. This means 20,000-40,000 loads of the Route map could exceed the $200 monthly credit. Since we need to get the geolocation of each property in your database, we use the GeoCode API to retrieve that from the address. Each of these calls costs 0.005 USD. Additionally, any time you do a find in the constrain map, we use the Distance API, which also costs 0.005 USD per each. Since all of these calls to the different APIs add up, you can see why it's difficult to predict the usage based on the number of users in the solution. It's really something that would become more apparent after a few months of use.